ISLAM: What is Islam? Is Islam a religion of peace? What is Jihad? What is the difference between Christianity and Islam, between the Bible and the Qur’an, between the Cross and the Crescent? Is Muhammad or Jesus God’s final messenger? Islam vehemently denies that Jesus was divine or the Son of God. Why? Why is there such strong reaction from Muslims to Western colonialization? These are crucial questions that need clear and thoughtful answers. JUDAISM: What is Judaism? Do Christians and followers of Judaism worship the same God? What is Judaism’s understanding of Jesus Christ? Both religions believe in one God, but why does one see Christ as the Messiah and the other doesn’t? Both accept the Old Testament as authoritative and the Ten Commandments. Both believe that all human beings have broken God’s law. One teaches that salvation is through keeping the law. The other teaches salvation is a gift. ROMAN CATHOLICISM: Was the Protestant Reformation necessary? Was it a mistake? Why did Martin Luther reject the Roman Catholic Church’s tradition? What do Catholics believe that is so different from Protestants? Why does the Catholic bible have more books than the Protestant bible? What is the difference in their view of how one receives salvation? Why is there so much emphasis placed on Mary in Roman Catholicism? SEVENTH-DAY ADVENTISM: Billboards are sometimes seen on highways that read “Saturday is the true Lord’s Day, Sunday will be enforced as the mark of the beast.”…part of a marketing campaign to introduce the public to the Seventh-Day Adventist (SDA) church. SDA has its roots in the Adventist movement in the 19th century. Saturday Sabbath observance, the near future end of the world, and accepting the teachings of Ellen G. White, their prophetess are held in common. MARKS OF A CULT – Doctrinal and Psychological: What do you think of when you hear the word “cult”? …Jim Jones and Jonestown, Guiana? Waco? Heaven’s gate? The images could go on and on. Many new religious movements would be taken into consideration due to doctrinal diversions from Biblical Christianity. Quite often such groups redefine God, Christ, Man and Salvation. Additionally, some would have behavioral practices such as “mind control” that are detrimental to a person’s psychological well being. CHURCH OF CHRIST: What does the Church of Christ believe? What is their history? What is the Restoration Movement? Why was the Church of Christ started? Who are the Campbells? Do they believe that water baptism saves people? Why do some practice non-instrumental music and how is the Lord’s Supper practiced in most of their churches? BAPTISMAL REGENERATION: What does this mean? Where does the Bible teach that water saves? Is the atoning blood of Christ in water? Is water baptism necessary for salvation? Is water baptism performed for salvation or because of salvation? Why baptize? Why? THE TRINITY: It is unfortunate that sometimes our understanding of this crucial doctrine can be so shallow. For many it doesn’t go beyond the one and the three. However, what is the one and what is the three? Is the one three or the three one? After all, isn’t it a mathematical absurdity? Does the Bible really teach the Trinity? If it does, then why is the word “trinity” not found in the Bible? JUSTIFICATION – the Gospel vs. Legalism: We’ve heard it said that justification means ‘just as if I’d never sinned’! Someone has responded that it could not mean that because we in fact have sinned. What is it about this important belief that separates orthodoxy from heresy? The nature of the gospel was the centerpiece of the Protestant Reformation,…sola fide, or justification by grace alone through faith alone in the finished work of Christ alone. Pseudo-Christian groups and all false religion require some measure of human works as a requirement to attain eternal life. Paul warns about this in many passages (1Cor.1:29-30; 2Cor.5:21; 11:34, 12-15: Gal. 1:6-9; Rom. 10:1-4: Eph. 2: 4-10). NEW AGE MOVEMENT: What is the New Age Movement? Is it astrology? Are we now living in the Age of Aquarius? Were the Beatles New Agers? It has been said that ‘the East is the east and the West is the west and never the two shall meet’. Whoever said it forgot about the New Age! The East has been in the West in the New Age Movement for decades. Indeed, there’s not one area of American culture untouched by it. Try these for starters: yoga, alternative medicine, business, and education. WORD-FAITH MOVEMENT: What is the Word-Faith Movement? Aren’t Christians supposed to have faith in the word? What is Positive Confession? Is that what is known as the ‘health and wealth’ gospel or ‘name it and claim it’? Did someone say, “Blab it and Grab it”? The Christian media are literally saturated with this message. In order to understand why so much emphasis is placed on being healthy, wealthy, and wise, we need to understand how the Word-Faith Movement distorts the essentials of God, Man, Christ, and the Atonement. these are part and parcel of a religion that is quite different from those in the West. Indeed, the Hindu’s religion and worldview of Pantheism (all is God, God is all) is totally different from a Western idea of God being separate from His creation. BUDDHISM: What is Buddhism and what do Buddhists believe? Who is Siddhartha Gautama? Did such a person ever live? What is the difference between Hinduism and Buddhism? Is Buddhism atheistic or pantheistic? How does it differ from Zen Buddhism? What is the difference in how Buddhists and Hindus view reincarnation? Do Christians believe in the same concept of enlightenment? NATION OF ISLAM and other Islamic Offshoots: What is Nation of Islam? Who is Louis Farrakhan and what is his relationship to Elijah Muhammad? How does NOI’s teaching differ from orthodox Islam? How do NOI’s teachings differ from Christianity? What is Moorish Science Temple and 5% Nation of Islam and how do they differ from NOI and orthodox Islam and Christianity? UNITED PENTECOSTALISM: Who are they and how do they differ from other Pentecostals? Do they believe in the Biblical Trinity? Do they believe in Modalism? Do they have anything in common with the historical character Sabellius? Is this the same as ‘Jesus Only” Pentecostals? Why do some baptize in ‘Jesus Name’ only? Do they believe that baptism saves? 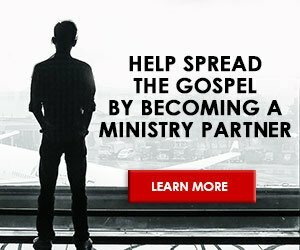 APOSTOLIC AND PROPHETIC MOVEMENT: Are Apostles and Prophets for today or did they cease with the dying off of the Early apostles? What are Apostles and Prophets anyway? Does this modern day movement have anything in common with the Word-Faith movement or the ‘health and wealth’ gospel? Why are movements like these so popular? Is there any misuse of authority with teaches in such a movement? SCIENTOLOGY: What is Scientology? Is it a religion? How does it differ from Christianity and other religions? What are its beliefs and practices? Who started Scientology? Why are movie star celebrities Scientologists? Have they had problems with the IRS? Why are they against drugs? MORMONISM: The official name is The Church of Jesus Christ of Latter-day Saints. Many people in both North and South America have been visited in their homes by their missionaries…practically everyone who has a television has seen the commercials portraying a very positive image for them. However, one would be hard pressed to find one doctrine of Mormonism that is compatible with Biblical Christianity. Essentially, Mormonism differs on who God is, who Christ is, and what the gospel. And these are just the beginning of key differences. JEHOVAH’S WITNESSES: They knock at our doors. They distribute lots of Watchtower and Awake magazines. They seek to convert us to devotion to their organization. Many people in our culture ridicule them and some fear them, but few understand them. Who are these people, the Jehovah’s Witnesses? Their Watchtower Society organization believes that it alone has been appointed by God to govern his people. The Watchtower teaches that Jesus was the first of God’s creations. Some have a heavenly hope, others only an earthly hope.